The Coila Lake opening is at the southern end of Bingi Dreaming track. Please check if this lake is open before you set out. If the opening is impassable, you won't be able to access the village of Tuross. The viewing platform on Durras Lake Discovery trail in Murramarang National Park has been closed due to structural damage to the platform. Penalties apply for non-compliance. 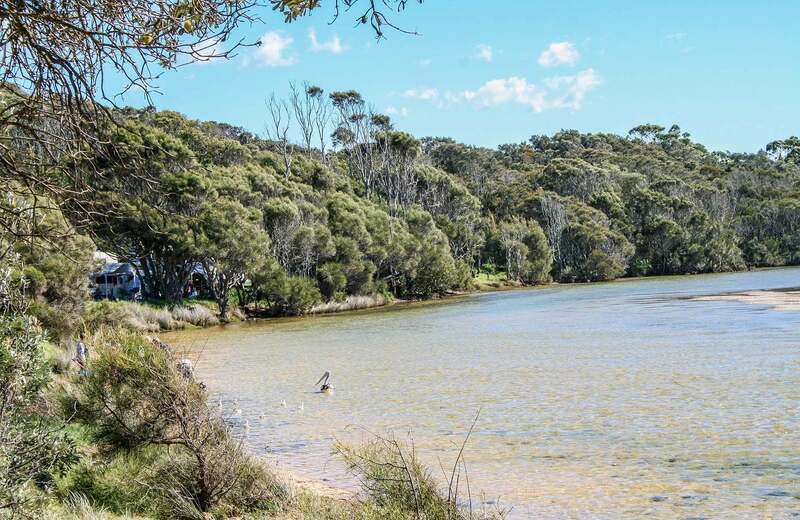 For more information, please contact Depot Beach campground or the NPWS Ulladulla area office on 02 4454 9500 or 02 4478 6582, or visit the NSW National Parks safety page for park safety guidelines. It is now an offence to tow trailers on these trails. The penalty for towing trailers on these trails is a $300 penalty infringement notice, or higher if the matter is taken to court. By keeping trailers away from these identified trails, you reduce the safety risk to yourself and others, reduce damage to the park environment and your assets and reduce park maintenance costs, a benefit to everyone. Trailer access to Bendethera is still available from Moruya via Little Sugarloaf Road and Bendethera trail. From Braidwood, this increases travel time by about 30 minutes to 1 hour. For more information, please contact NPWS Narooma on (02) 4476 0800.